In The Transformers robots from a distant planet mutate themselves into cars and then back into robots. That’s science fiction. 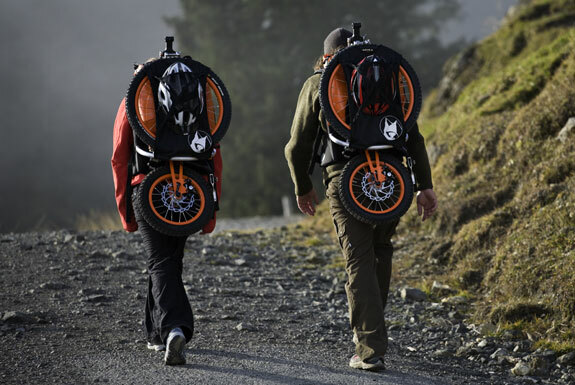 But here’s something that’s real: the Bergmönch, a backpack that can transform into a scooter and then transform back again. 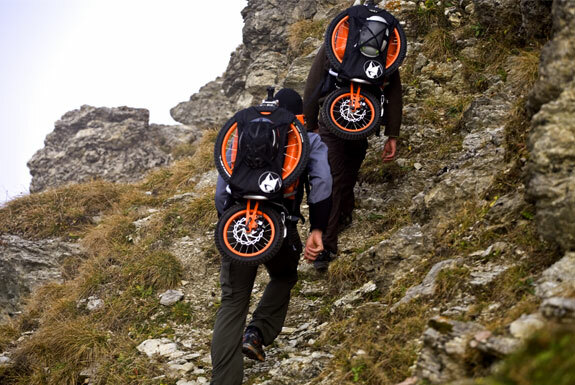 As as backpack, the Bergmönch includes a helmet net, a storage area for 12 liters of gear, and a study water-resistant exterior. 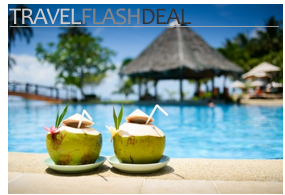 It is comfortable to wear, with a padded back and full pack frame. The whole thing weighs a scant 9kg (20 lbs). 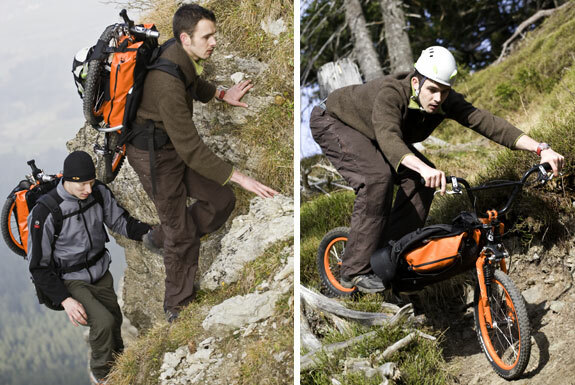 As a scooter, everything about the Bergmönch is designed for downhill riding. 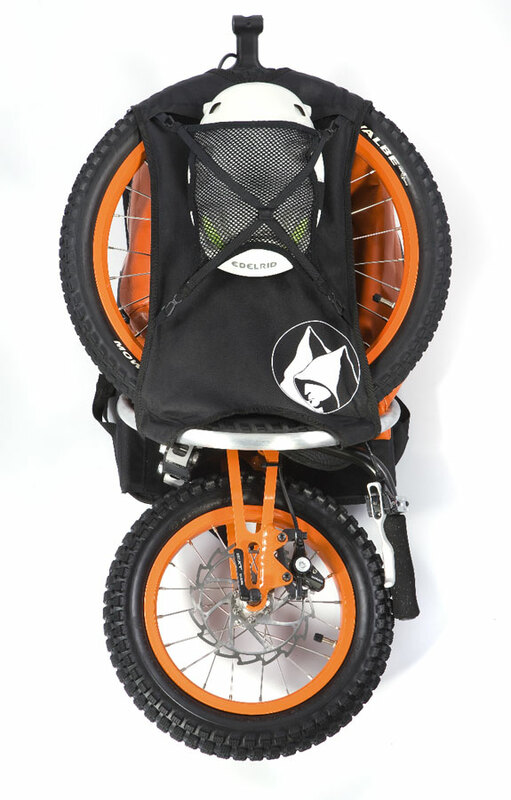 The front wheel is significantly larger than the back, reducing the effective downhill grade for the rider. The scooter’s center of gravity is back by the rear wheel, making it easy to balance while zooming down hills. 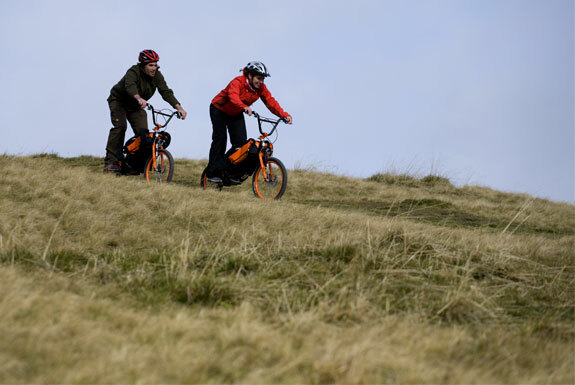 And the Bergmönch has hydraulic disc brakes, making it easy to suddenly stop zooming down hills. 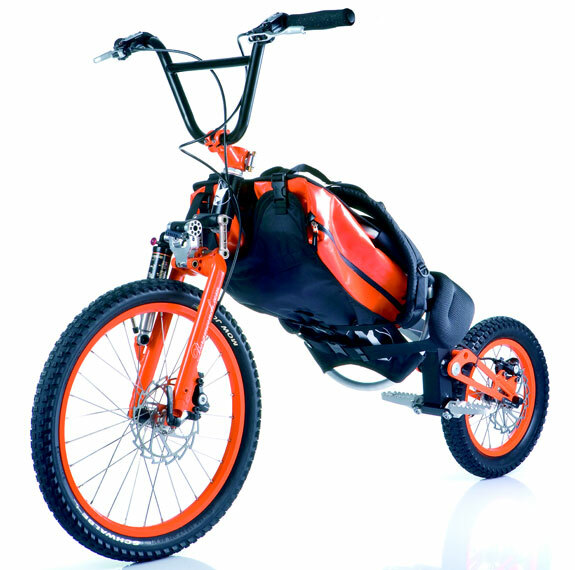 The Bergmönch can be transformed between backpack and scooter in about five minutes. Part of the reason the Bergmönch is so light is that it isn’t a bicycle. It has no seat—riders either kneel on the padded frame (while over relatively smooth terrain) or stand (while riding over rougher ground). This scooter also has no pedals. Instead, the Bergmönch is meant as a hiking companion. With the Bergmönch hikers must walk uphill but needn’t walk down, which is hard on knees. 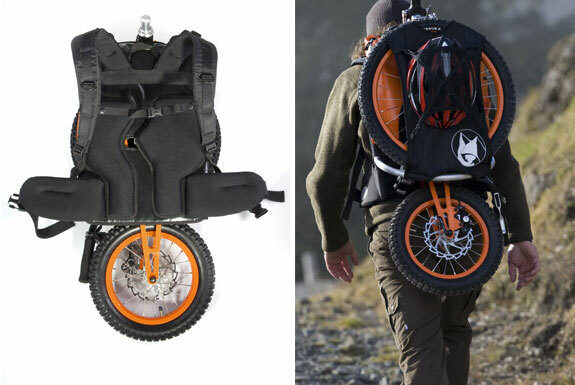 This scooter/backpack also allows hikers to go much further than they could by walking alone. Most of all, the Bergmönch is hugely fun! The Bergmönch is the product of a German company (“Bergmönch” means “mountain monk”) and is sold at dealers around western Europe for around €1,500. There have been to reports of a Bergmönch transforming into a robot from a distant planet—as far as we know. That… is the greatest thing, I’ve ever seen!